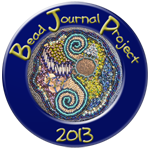 Joining the Bead Journal Project for 2013 gave me the impetus to start a blog of my own at the end of 2012 so a big thank you to Robin and all the participants of the BJP 2012. 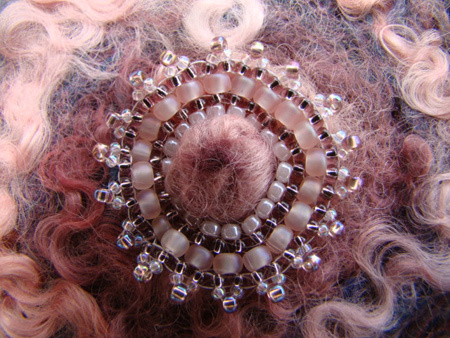 Today I have started by own blogroll and there have been three other blogs apart from the beading blogs that I looked at regularly during 2012 and inspired me with my felting, crochet and beading so I wanted to say thank you and share a few of the makes they inspired. 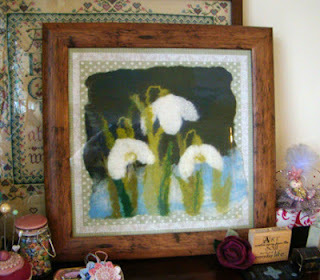 Fiona at MarmaladeRose makes stunning wet felted pictures enhanced by lots of machine stitches and hand embroidery. I occasionally have added a few beads but have been unsure about adding stitches so most have remained simply as a felt picture as with the snowdrops below. Thank you Fiona and perhaps in 2013 I will be a bit more adventurous with the stitching. Lucy at Attic24 crochets brilliantly coloured blankets, cushions and has great tutorials for all sorts of beautiful hooky creations. 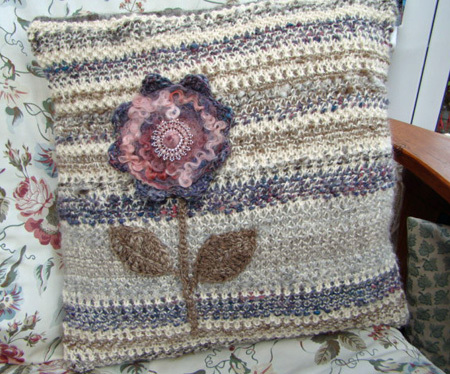 Over the last year I have been learning to spin with a drop spindle and made a knitted cushion and was inspired by Lucy's flower tutorial to crochet a flower to decorate the cushion and added a beaded rosette as the centre. 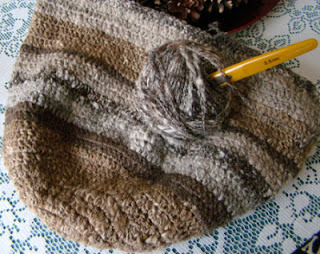 I am now following her bag tutorial to use the wool I spin on my new Lendrum spinning wheel. Lots of texture as I am just learning but I love being able to use what I spin no matter how many bumps and lumps there are. 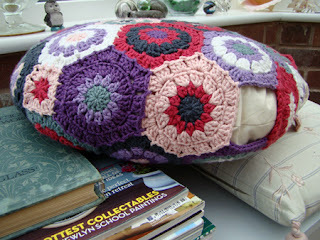 I also loved following Lucy's hexagon pattern to make a circular cushion. 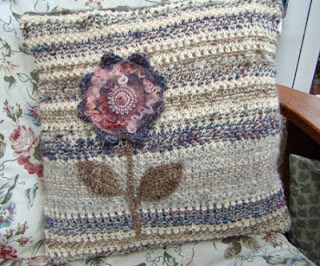 I just need a few tiny squares to fill in gaps on the side. Thank you Lucy. 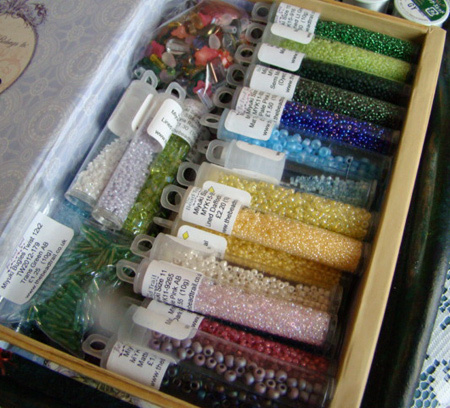 Jessica at Such Pretty Things for providing a bit of sparkle and making me think about the palette of colours I use when being creative and the photographs I want to take. I love seeing the photo journals of her trips antiquing / vintiquing in Paris, London and America. It brings back happy memories of visiting thrift shops when we lived in Fairport, Rochester, NY for a couple of years. Thank you to you all and best wishes to everyone for 2013.